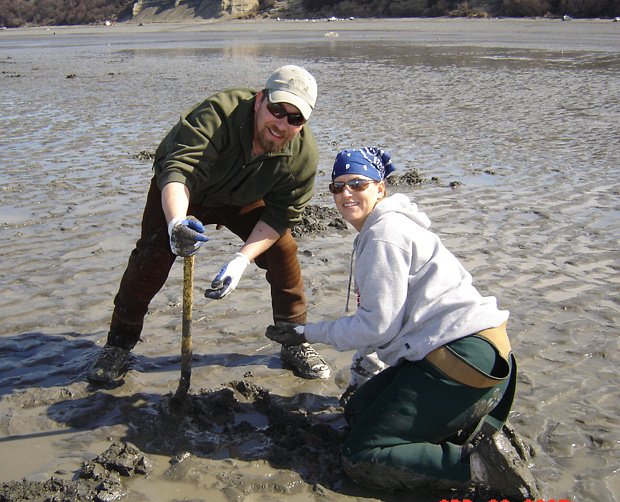 Travel by boat to the west side of Cook Inlet and dig for clams along the isolated razor rich beaches. There are no clam limits and the razor clams are huge!! This trip is only available during negative low tide cycles. Call for more information. Clam shovels and buckets are supplied. 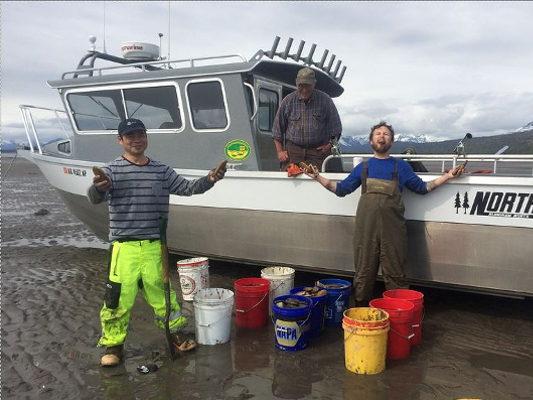 Come experience a unique Alaskan adventure digging razor clams on the west side of Cook Inlet. This adventure is a local favorite! 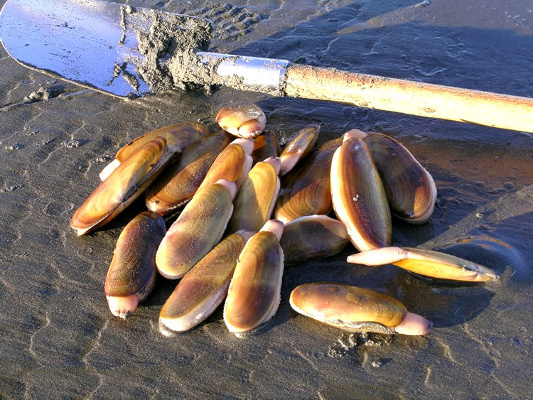 Razor clams are delicious and extremely plentiful on the isolated western clam beaches. There is no limit to the number of clams you can dig and the clams are enormous! Travel time to the clamming beaches is about 1.5 hours. The average length of the clamming trip is usually 6-8 hours. Razor clams are a highly sought delicacy for many people. Whether your clams are used in chowder, fritters, or just pan fried, you are sure to be amazed how delicious they are! 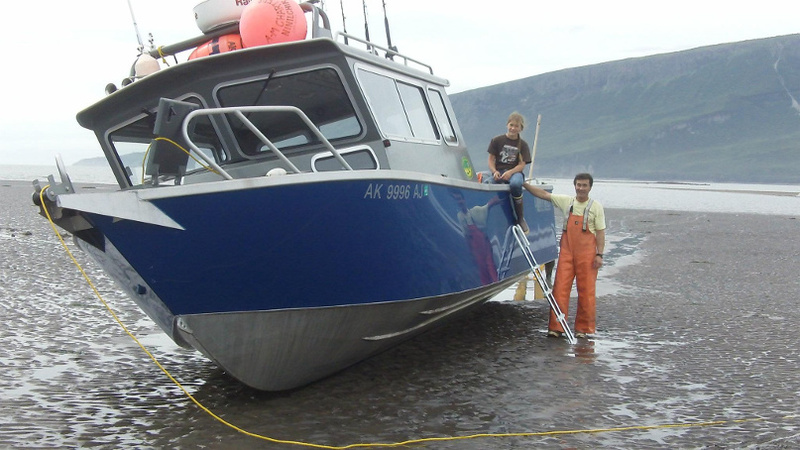 Once we arrive to the west side of Cook Inlet, we idle into shallow water where we wait for the tide to fall out. As the water drops, the boat settles into the soft sand. Once the boat is dry, everyone hops out onto the newly exposed beach to start digging clams. Clams are pretty easy to spot and catch once you get the hang of it! Most people will dig between 1-2 buckets during our clam charters, but some people attack the beach and dig 4-5 buckets full! After about 3 hours, the tide starts to come back in, and our clamming adventure nears its end. The returning water floats the boat and we make our journey back to the east side. A unique Alaskan adventure that is a local favorite!